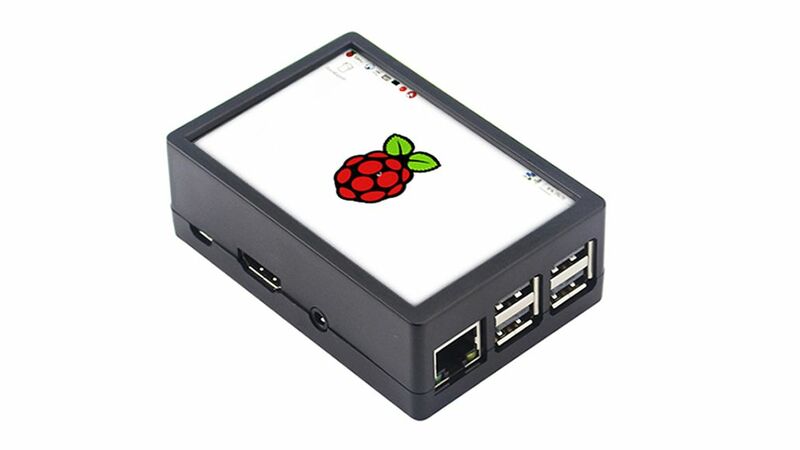 Raspberry Pi accessories are plentiful enough, but here’s a new one which might pique your interest – a case for the compact computer board which comes with a touchscreen display. The unnamed product is sold by Chinese retailer Banggood, billed as a protective case (for the Raspberry Pi 3B+/3B/2B) with a cooling fan and 3.5-inch LCD touchscreen. You also get a plastic white stylus into the bargain. Note that if you use the case with the 3.5-inch display, you can’t install the cooling fan. It’s a choice of either one or the other. The screen is obviously quite small, and has a relatively low resolution of 320 x 480 pixels. The good news on the price front is that the case is reduced with a 27% discount at the time of writing, meaning you can snag it for £12.71 (or $15.99, which is around AU$22). The admittedly small number of user reviews on the Banggood site paint a fairly positive picture of this accessory, and the build quality of the case is supposedly impressive. However, the screen is apparently pretty slow to refresh, so it won’t be much use for the likes of watching videos, for example. In other words, it’s a very basic, functional display, but obviously at the asking price, you can’t really expect anything more. If you’re after inspiration for what to do with your Raspberry Pi, then check out our extensive feature devoted to exploring various projects that revolve around the diminutive computer.